The Scoot Lock is absolutely brilliant. So easy to attach to the scooter and so easy to use. I’m really delighted with it. It’s just an ingenious idea – instead of having to carry a lock around and trying to figure out how to secure one to the scooter. 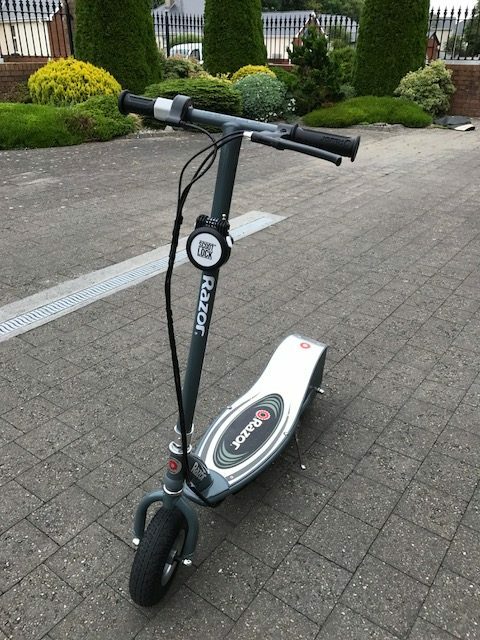 The Scoot Lock is very well made and looks great on the scooter too. Thanks to everyone at Scoot Lock – a brilliant piece of kit! !